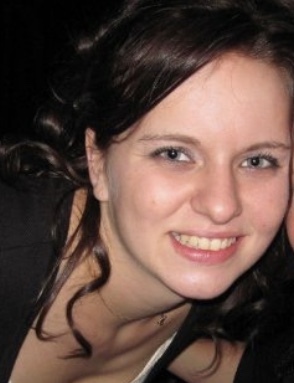 Joan Margaret Iott, age 34, of Deerfield, MI, passed away unexpectedly, January 15, 2019. She was born May 24, 1984, in Adrian, MI, the daughter of William & Julie (Huff) Iott. Joan loved life and had a heart of gold. She was carefree, vibrant and her smile was contagious. She took pleasure in the simple things in life. She had a passion for reading and would often finish a book in one day. Since being a little girl, she loved Betty Boop and collected many items over the years. Joanie was a fantastic cook and loved to bake with her Mom. She attended AA meetings with her dad and enjoyed singing karaoke with him. She loved all genres of music and listened to it endlessly. Her greatest passion and achievements were her three children. Joanie and Benjamin, “the boy” would go fishing and enjoy anything outdoors together. She loved his soft spot for helping animals and never could quite tell him no when he would bring one to her. Aiden, “Goobie” and his protective nature and intelligence made Joanie so proud of him. She always encouraged her daughter, Carrigan “sissy” to pursue her passion for arts and admired her for her creativity and individuality. They enjoyed watching movies, cooking out, going to the beach, and simply spending time together. Joanie and her children had a special bond that will never be broken. She is survived by her parents, William Iott of Adrian & Julie Iott of Britton, maternal grandparents, Tom & Judy Case of Deerfield, her children, Benjamin, Aiden and Carrigan, two sisters, Meagan Skampo of Adrian and Erin Iott of Morenci, one brother, William (Sarah) Iott of Petersburg, her special companion & best friend of several years, Shawn Reichard and three nieces, Rylee, Ellianna, Clara as well as one on the way, three nephews, Madden, Cashton and Calvin and a host of aunts, uncles and cousins. She was preceded in death by paternal grandparents, Herman & Maureen Iott, maternal grandparents, Jerry & Carlotta Huff, two aunts, Madeline Weaver, and Maureen Salazar, one uncle, Eric Huff, two nieces, Savannah & Serenity, and one nephew, Jacob. Visitation will be from 4:00 PM to 8:00 PM on Friday January 18, 2019, at J. Gilbert Purse Funeral Home, 2959 N. Adrian Hwy, Adrian, MI. Funeral Services will be held 11:00 AM Saturday, January 19, 2019, at J. Gilbert Purse Funeral Home, Adrian, MI. A, luncheon will follow at the Adrian Eagles. Memorial Contributions may be made to an education fund for her children in c/o Meagan Skampo.